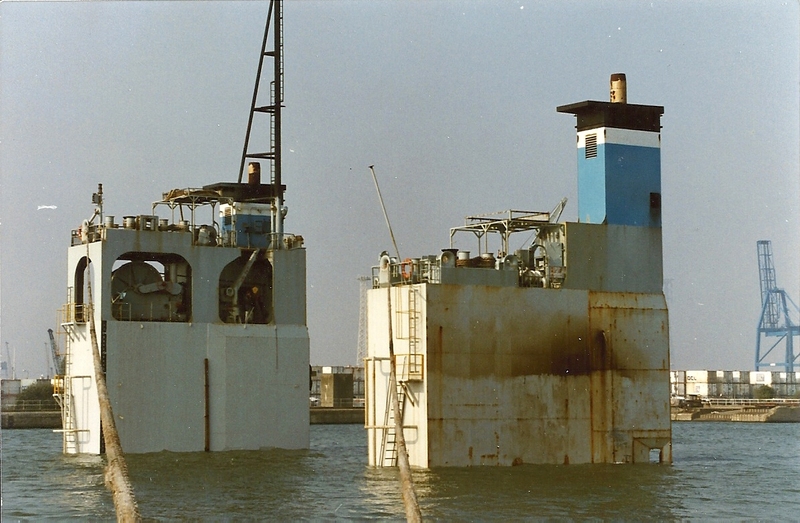 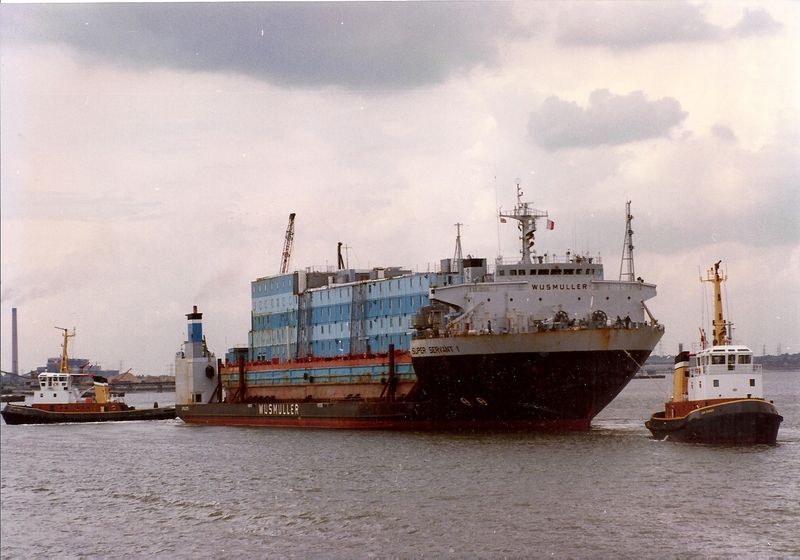 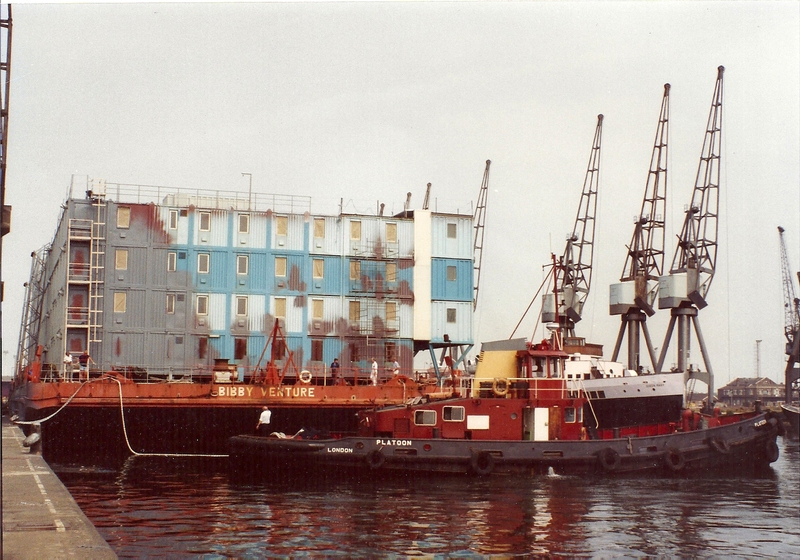 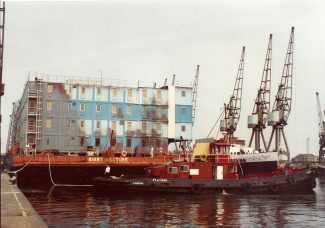 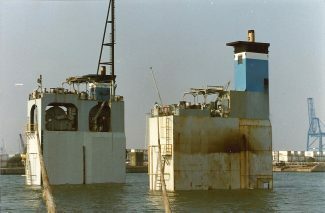 The SUPER SERVANT 1 is seen here partly submerged in Tilbury after floating off the BIBBY floating accommodation used by the army in the Falkland Islands. 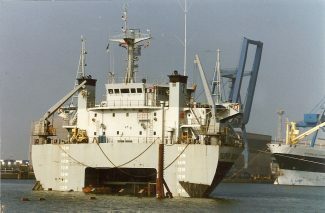 See the photo of the BIBBY VENTURE with PLA tug PLATOON. Also the vessel entering the locks.